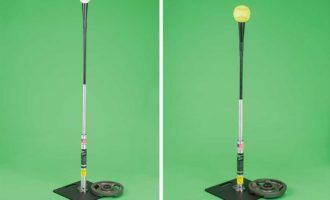 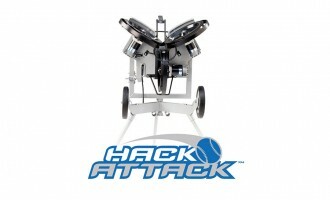 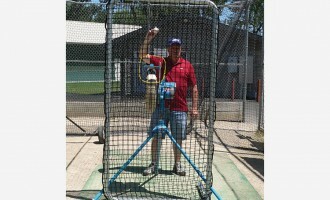 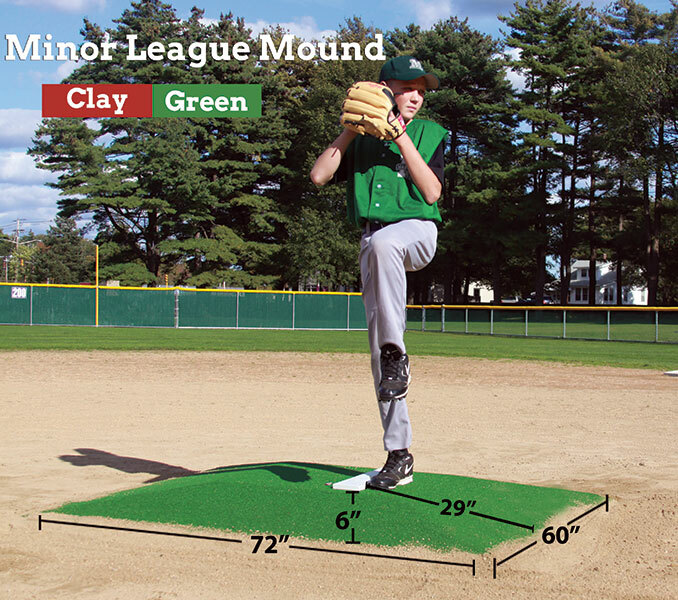 Portable mound for use indoors or outdoors. 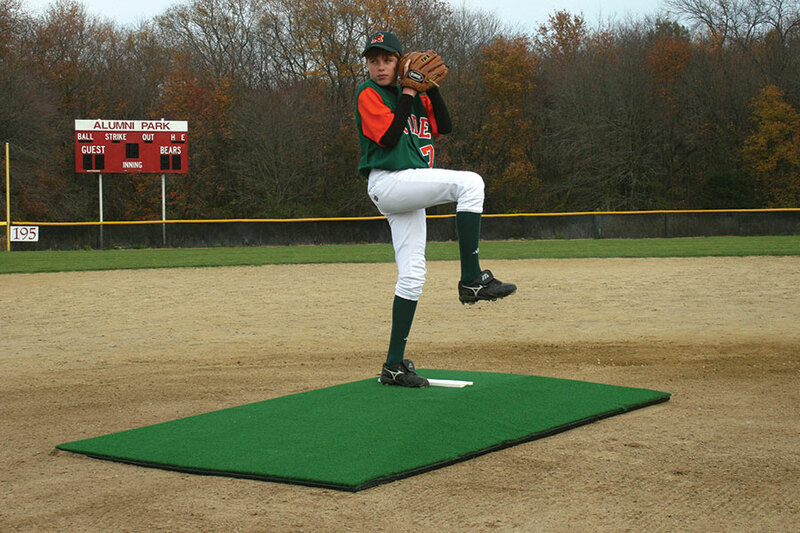 High-density foam is encapsulated in rubber shell and covered in spike-resistant artificial turf. 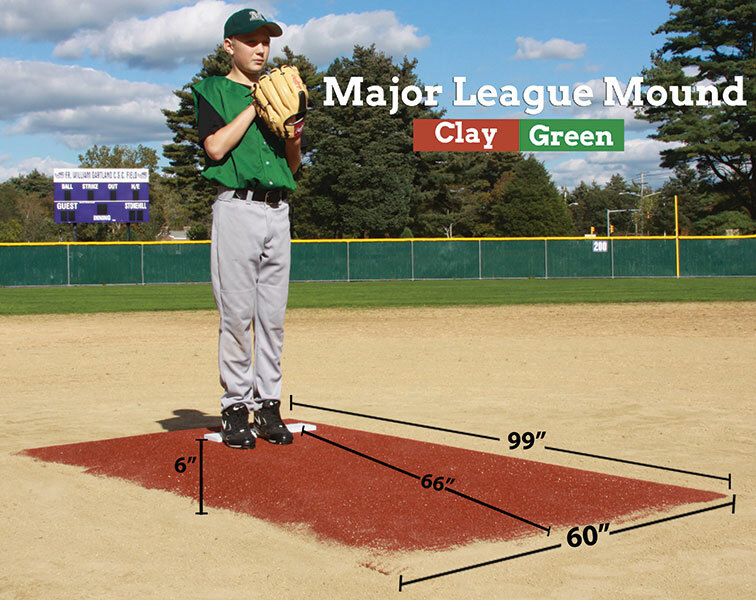 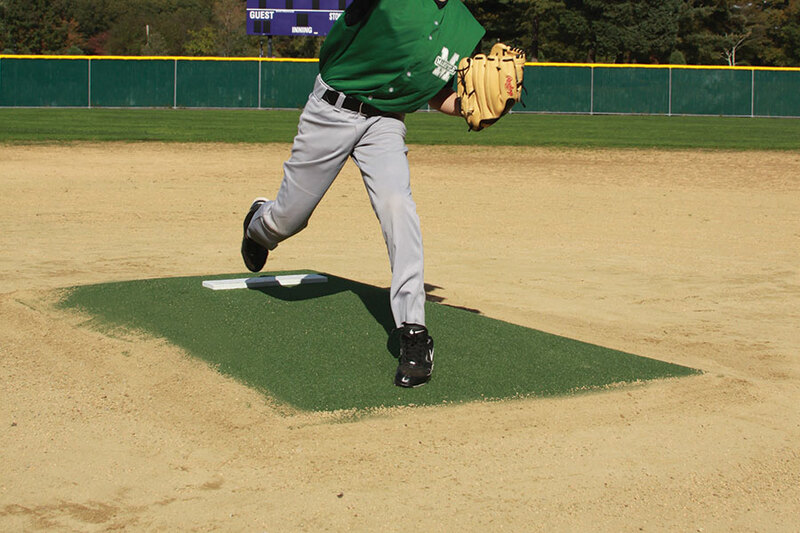 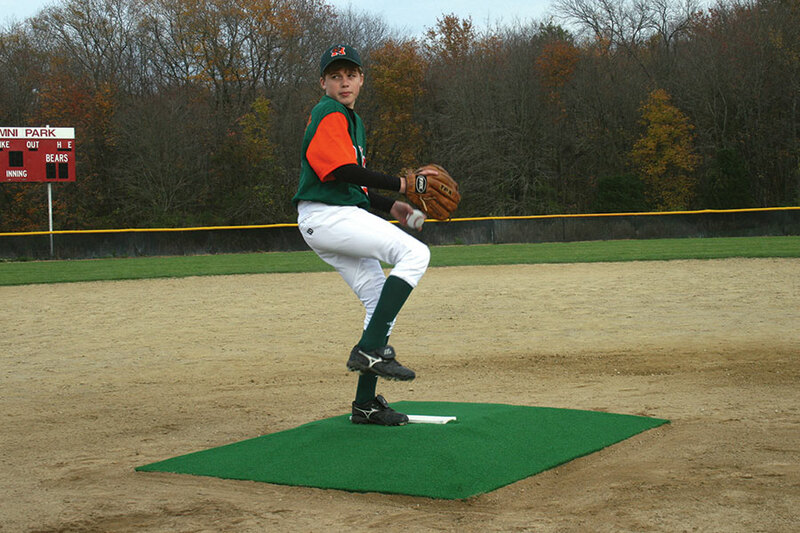 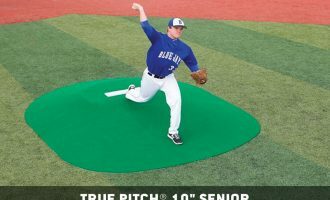 Choose from 99″ major league or 72″ minor league mound lengths.